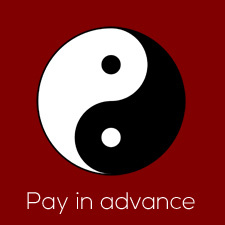 Whether you’re buying Shiatsu sessions for yourself or for a friend or loved one, you can pay conveniently online before your session. All payments are processed securely through PayPal™ so you can be assured that your personal details are safe. You don’t need to have a PayPal account to make a payment. With the exception of Gift Vouchers (which are valid for 6 months from date of issue), we would ask that you contact Ken to arrange the date/time of your appointment before online payment. Payment online is convenient, and means that at your session, you can focus entirely on relaxation and wellbeing. Full details of pricing can be found below. 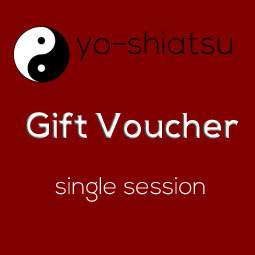 Please note: session prices are dependent upon whether you visit Yo-Shiatsu’s studio, or choose to have a home/office visit. You will be asked to select during the payment process. A standard treatment from Ken’s Shiatsu practice in Islington costs £55 per session if paid via this website after agreeing the appointment time and date. Ken is also happy to visit you in your home or office. The cost of a session is £65 if paid online via PayPal. Geographical limitations apply. A block of 3 ‘away’ sessions costs £170, when paid online. For students or if you are unemployed, Ken offers a Sunday Low cost clinic – a session is £40 if booked online.